A former competitor's take on this year's event. 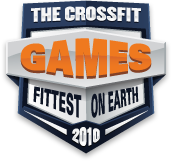 Josh Everett sat behind the analyst desk most of the 2010 CrossFit Games weekend. An incredible competitor and olympic lifting competitor himself he offered perspective like few others could on the amazing athletic feats we collectively witnessed at the 2010 CrossFit Games. Everett checks in with the following report. Kristen Clever's shoulder-to-overhead of 205 lb. immediately following “Hell-in” was stunning. That lift would be competitive for her weight class at the national level. The ability to put up a weight like that while in such a fatigued state is unheard of. Furthermore, the fact that Clever was 1st in the shortest event (jerk) and 2nd in the longest along with Graham Holmberg being 1st in the longest and amongst the top performers in the shortest duration event demonstrates their balance of energy systems and shows why they are, in fact, Fittest on Earth. What may be even more impressive than their capacity in broad time domains is their ability & skills in seemingly all modalities. They are not just superior athletes with big efficient engines; they are craftsmen who have dedicated their lives to technique and proficiency in athletic movement. Thank you for the kind words and perspective of this past weekend. 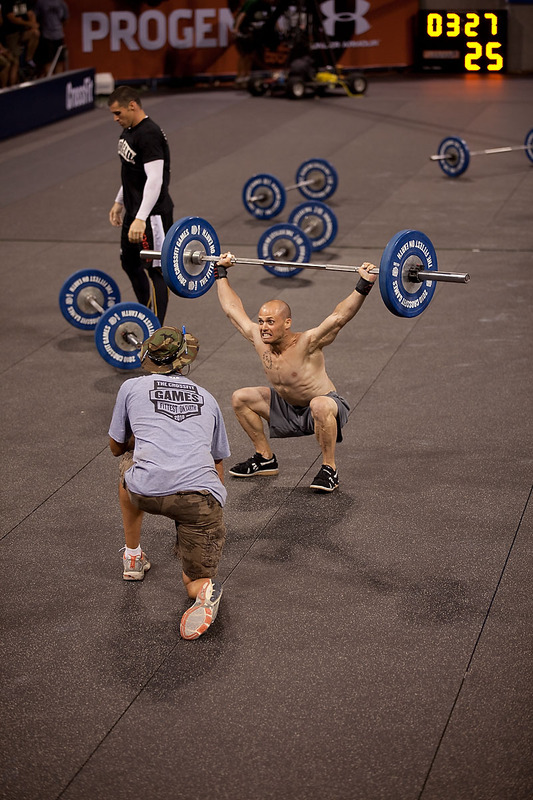 Chris Spealler is with out a doubt one of the most amazing athletes I have had the oportunity to be around. His performance and output are trully out of comprehension for most. Chris as a person and individual surpasses what he did during competition. I feel honored to stand on the podium with him and Rich as they are two outstanding people not just Crossfit athletes. Kristan Clever is one of the happiest people I have been around. She is a really a tremendous competitor regardless of size. Thanks again Josh for the article and look forward possibly speaking with you again and even working out with you again in the near future. 22 July 2010 / 5:33 p.m.
A great perspective from one of Crossfits most respected athletes. 22 July 2010 / 6:40 p.m.
Josh: Like Graham, thank you for the kind words. Both in the short write up and on all the live feeds. So much appreciated and it means tons coming from a person and athlete like yourself. Graham: Feeling is mutual. You are completely deserving of the spot on top this weekend. An honor to compete with you as well this weekend. Thanks for being another great representation of CrossFit for this community and others around us. 22 July 2010 / 8:34 p.m. I thought that the new venue would squash the crossfit spirit but Josh, Graham and Chris were three of the many that proved me wrong. I'm just a nobody in the world of crossfit but you guys ARE crossfit and you took the time for pics and conversation with us I don't really think you know how much this means to the sport and to us. From all of us Thanks. 22 July 2010 / 8:55 p.m.
Josh, I really enjoyed you in the booth. I watched the entire broadcast and was quite impressed with your camera presence. You seemed to always have the right perspective without saying too much. Your personal experience with the Games coupled with your significant knowledge of physical fitness makes you a very credible source - not just an observer. If your awesome new job with the US Navy doesn't pan out, you have a future in broadcasting. Well done man. 22 July 2010 / 8:57 p.m.
great points by josh. i watched graham and chris finish within seconds on the hell-in but i wasn't watching graham lift. it wasn't until after the games that i found out he put 285 overhead. truly amazing. as for spealler...well i've stopped being shocked at what he can do and now just expect the unbelievable. overall i think think this was the most well balanced set of workouts of all the games. hats off to hq for putting together workouts that tested strength, skill and stamina as equally as can be expected. my only minor critique is i'm not quite sure why we want people to jump into muscle ups and it sure seemed dangerous not to have some crash mats under those ropes at the end. 22 July 2010 / 9:46 p.m.
Second what Craig said. It was awesome to get Josh's perspective on the games. 22 July 2010 / 10:53 p.m.
"craftsmen who have dedicated their lives to technique and proficiency in athletic movement." That rings true. I'm only a middling crossfitter but one thing that really stood out during the hours & hours of games coverage was how smooth and efficient both Kristan Clever and Spealler are in their movements. The repost of the final men's and women's heats in Event 1 is especially illuminating: Spealler's snatchs compared to (the much stronger) Khalipa's, especially as they got to later rounds. I'll be paying much more attention to technique from here on out! 23 July 2010 / 6:51 a.m.
Great job in the booth Josh. Tremendous event, a near perfect mix of workouts, insightful analysis, electric atmosphere, The Games lived up to their billing. More importantly, I was able to consistently look around the room where I was watching the live feed on a 110" screen, with some die hard Crossfitters and some not too familiar....and I could see the appreciation all had for the effort, will and desire displayed by the competitors; truly awe inspiring. I like to say that I may get out talented, but I'll never lose because I was out worked. That is what Crossfit represents to me, more than anything else. Competitors, regardless of ability level, achieving new Personal Bests often, becoming better athletes, improving their quality of life, becoming better people...all through simple, hard work. Being able to watch the Best in the World do the same things, at the highest level, inspires the willing to do even more when they get back to the grind....I'd like to think Crossfit is one thing that is currently making the world a better place. God willing, the exponential growth will continue. 23 July 2010 / 7 a.m.
Great point Jennifer! These top athletes are teaching even when they're competing. I have my Level 1 cert this weekend, and the tremendous skill, heart, and community from the participants is inspiring. The gratitude and modesty afterwards -- even more so. 23 July 2010 / 7:19 a.m. It was a pleasure to speak with you again in Carson. You were one of the first athletes I followed when I started CrossFit, and what you've done for CF both as a sport and training method are impossible to understate. Great job with the analysis during the games as well, who knows where this is all leading...but it's definitely going to be one wild ride. Further more, 2 of the top 3 finishers for the men commenting here, and congratulating each other....something you're not likely to find in any other sport. I won't lie, I was pulling for Speal! But Graham put on one impressive display and earned his title. I was beyond proud to be involved even in a very small way out in Carson. We're coming up world! 23 July 2010 / 8:33 a.m.
After almost a decade of immersion within the Crossfit community, I am now reflecting on the fact that with every passing year our community continues to grow stronger, and I continue to become more and more proud of my fellow Crossfitters and this great community that I am honored to call my tribe. 23 July 2010 / 8:41 a.m. It was an honor and a pleasure to work the analyst desk with you. Your insight and perspective were 2nd to none. I hope to work with you again soon! 24 July 2010 / 8:35 p.m.
As part of TNF’s Flight Series collection and Better Than Naked (BTN) line, the Better Than Naked Jacket is completely performance-driven with premium features and a minimalistic design. 11 November 2011 / 7:37 p.m.